On August 24 Rev. 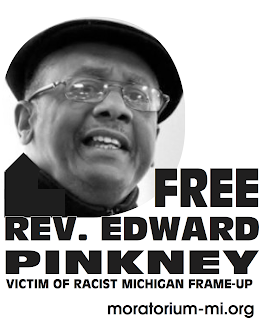 Edward Pinkney returned to the Berrien County courthouse to challenge a guilty verdict by an all-white jury (not of his peers). During the March 21 trial the white jury relied on the testimony of Brenda Fox, a drug addict and prostitute, to find guilt beyond a reasonable doubt. This revealed their willingness to violate the sanctity of their oath and show they were motivated by something other than the pursuit of truth and justice. After the trial Fox boasted around town that she was bribed to testify against Pinkney, and told Benton Harbor resident Douglas Bragg that he was the only witness not receiving pay for his testimony. Further, the entire jury was contaminated by the action of juror number five who, unbelievably, accused Pinkney's Harvard educated attorney of making a drug deal with a witness in the courthouse parking lot. At last week's hearing Pinkney's attorneys, Elliott Hall and Hugh Davis, both took the stand and hammered prosecutor Gerry Vigansky and judge Alfred Butzbaugh who worked as a team. (It’s the norm in this courthouse.) Rev. Pinkney was called to the stand and said that the drug deal charge was a false accusation. He now feels anger and pain and wonders how he will explain all of this to his grandchildren. courthouse during Rev. 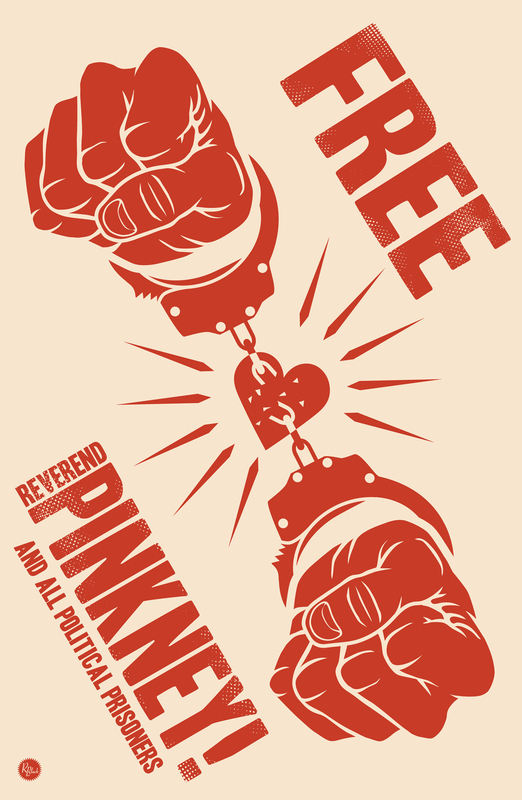 Pinkney's trial. One important violation, the right to a public trial, was taken away by judge Alfred Butzbaugh when he decided to lock out the public. Those turned away from the courtroom had to view the selection of the jury on a third floor, 18" inch computer monitor which was turned off or nonfunctional over 50% of the time. When it was working, the faces of the jury were not visible. Dorothy Pinkney, Belinda Brown, and Rev. Mary Gault all testified to these facts. Prosecutor Gerry Vigansky placed false affidavits from two courthouse employees in his answer to the motion for a new trial. Pinkney's attorneys told Vigansky to put the employees on the stand under oath whereupon Vigansky withdrew his affidavits. witnesses, concealing and falsifying evidence, and twisting the truth. in the near (?) future. date back as far as late 1920's when Judge Hammond's father was judge. These three unconstitutional goals can be read on the walls inside the courthouse. And, when government and media are partners. sending black people to prison -- guilty or not guilty. Reserve Friday September 21, 1pm for a second hearing.